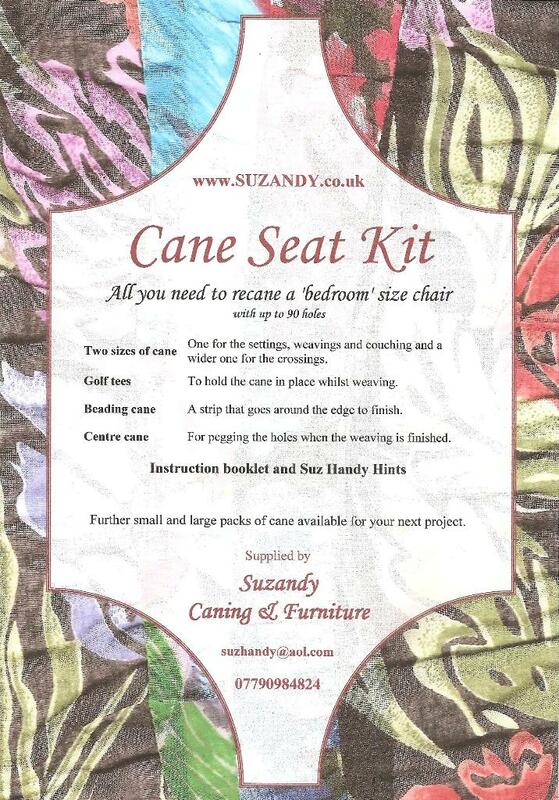 Everything needed to complete one bedroom size chair (with up to 90 holes) in the traditional six-way pattern. Wider cane - for beading the edge, if appropriate. Kits can be made up for any size or number of holes or chairs. Garnet shellac flakes - add to Methylated spirits to make French polish. Pearl/hide glue - add to water and warm. Reversible. Including basic instructions for the use of each. 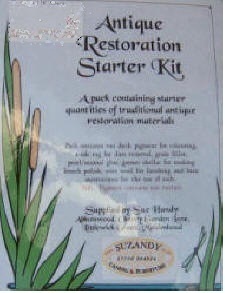 The kits have now SOLD OUT but I am able to supple small quantities of shellac, Vandyke crystals, fish and pearl glue. 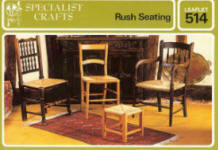 CHAIR SEATING Techniques in Cane, Rush, Willow and Cords. Not always available but worth its weight in gold. These little fully coloured instruction booklets give basic introduction to the specified crafts. A5 size with 16 pages. They give basic introduction to these crafts. 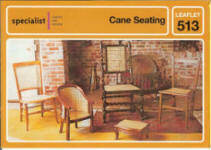 The Cane Seating booklet is now out of print although it is available from some other suppliers. "Whether you are an expert or a complete beginner, Seat Weaving is the perfect handbook for anyone who understands the value of caring for and repairing a well-loved object or enjoys the challenge of making something new." 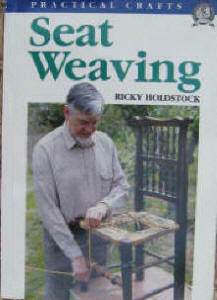 SEAT WEAVING, by Ricky Holdstock. This invaluable little book is packed with 150 pages of superb instructions. 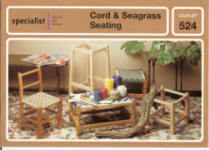 Materials covered include: rush, cane, paper (Danish) cord, seagrass. Now out of print, we buy them when we can and currently have 3 in stock all second hand but in good condition. 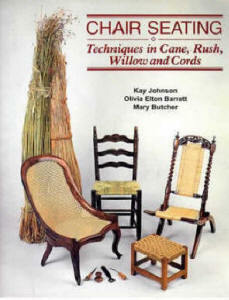 An American book which gives descriptive guides with step-by-step photographs for restoring cane, rush, splint, Danish cord, rawhide and wicker furniture.